Learn how to grow prickly pear cactus in this article. 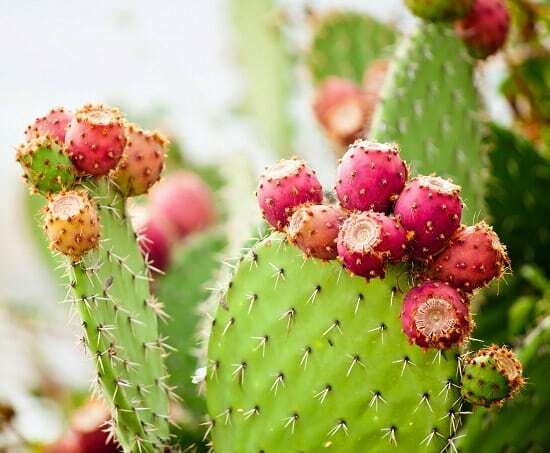 Growing prickly pear cactus and its care is not difficult if you grow it in right growing conditions. Prickly pear is a common succulent plant in Mediterranean and subtropical regions. 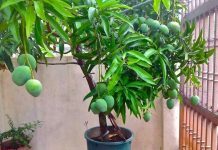 It is grown as an ornamental plant and for its juicy fruits. Prickly pear cactus is undemanding and easy to grow. It grows about 1-2.5 m high. The flowers are very showy, colors ranging from white, yellow, to orange, depending more on the variety. Prickly pear cactus can be propagated from seeds or pads. Growing prickly pear from the pad is comparatively easy than seeds. To facilitate the rooting, it is preferable to wait until the cuts are perfectly healed (about 1-2 week) before planting. If you live in an arid climate, you can skip this step. Tuck them an inch deep on the ground or in containers. The rooting takes place in a short time, usually in a month. Save the rooting pad from the afternoon sun and water it when the top one inch of soil seems dry. 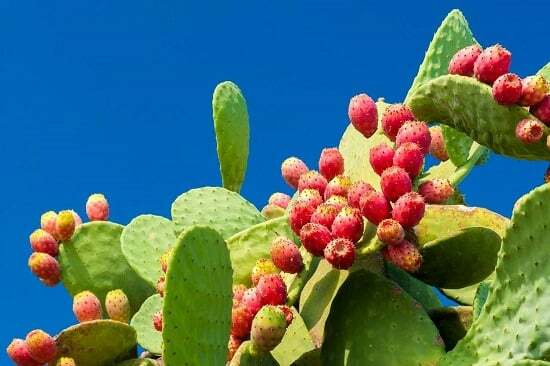 Growing prickly pear cactus in a sunny location allows the plant to thrive and fruit. Prickly pear cactus is a tropical or subtropical plant, so it loves the warm exposure. However, it can withstand temperatures down to 14 F (-10 C), but in areas, with harsh winters it is best to plant it in a sheltered spot, near a wall or tall tree to protect it from cold drafts and fluctuation in temperature. 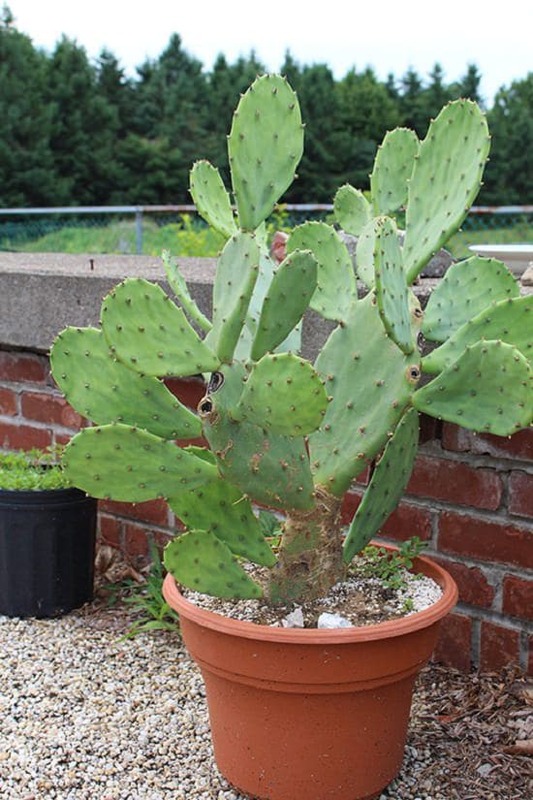 If you’re living in a cooler climate, growing prickly pear cactus in a container is the better option for you as it can only be grown on the ground where winter temperature remains above 14 F (- 10 C). Provide sufficient drainage holes at the bottom. Fill up the pot with a well-draining potting medium. Place the pot at a warm location. In a cool climate, wait for the late springs when all the dangers of frost and rain have passed to transplant the cactus. Prickly pear cactus can tolerate poor soil conditions. If growing on the ground, it even tolerates heavy soil to some extent if it doesn’t remain wet. However, it’s best to grow it in well-drained, light, sandy and loamy soil. Avoid clay-rich soil that is not well draining and promotes water-stagnation. For growing prickly pear cactus in a container, use succulent potting mix or any regular potting mix that doesn’t retain moisture. Make your potting mix for prickly pear by mixing 1/3 part each of compost, soil, and coarse sand or perlite. Watering should be done only when the surface looks dry. On average, during the spring and summer, water it once or twice a week and during the fall and winter once or twice a month. If you’re living in tropics more frequent watering will be required. 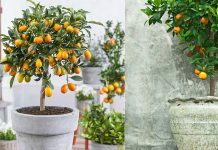 If growing in a pot, the plant must be repotted once it is root bound. Whenever you identify that the plant is growing slowly, repot it. The best repotting time is spring. Prickly pear cactus care involves several steps that are given below. Fertilize every month with a liquid 5-10-10 fertilizer to promote flowering and fruiting. For the young plant, fertilize with 10-10-10 fertilizer. Instead of liquid feeding, you can also opt for granular fertilizer. Schedule it according to the product’s instructions. *Do not feed in winter in cooler zones when the plant stops to grow. Pruning prickly pears is not required. It is done in spring or late summer by removing the pads that come into contact with each other or those that are damaged or poorly formed. Prickly pear cactus care in winter is essential. 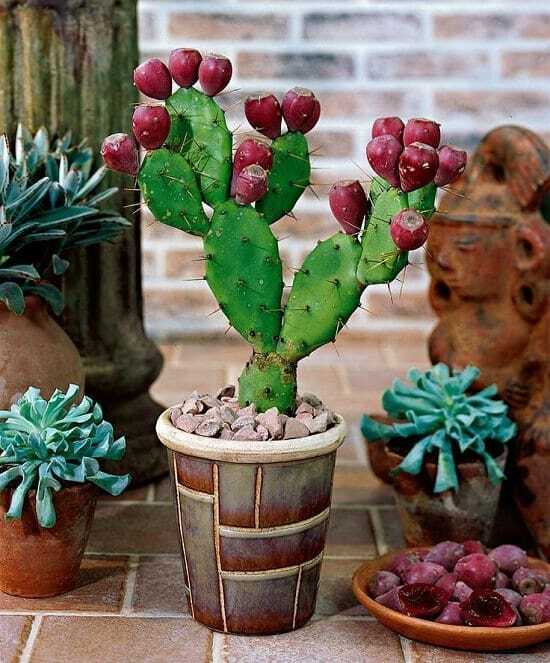 If you’re growing prickly pear cactus in a pot, protect it in winter by keeping it indoors. If growing outside, do mulching to insulate the plant from the temperature drop. 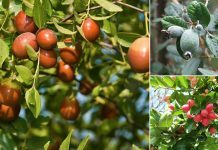 Fruit thinning is done to get a better harvest. It is necessary to remove extra fruits and flowers to get lower production but of improved quality. It is recommended that thinning must be done two weeks before the formation of the fruits, leaving approximately up to 10 fruits per stalk. Mealybugs, spider mites, and cochineal might attack it. Keep an eye on fruit flies and moths as well. In diseases, worry about root rot and stem rot — too much water or cold causes rotting. Prickly pear cactus is a succulent, so water it moderately. As soon as you detect the softening of tissues, remove the rotten part and treat the infected part with fungicide. 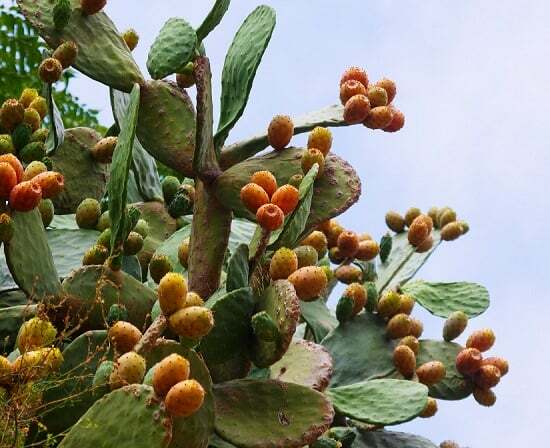 You’ll know that the prickly pear is ready for harvest when the fruit loses all its prickly spikes. Great news as it’ll be easier to harvest it! Another indication of ripened fruit is the color changing from green to yellow or solid red. Also, the ripe fruits feel firm when pressed. Just don’t apply too much pressure and wear protective gloves. How do I know if it is another pad growing or a fruit? Fruit grow on top of the pad at the base of the flowers. in spring you will see a flower, well after that flower dries up whats left is the fruit, then it will start to turn purple in late summer or fall.